Guys I just had to post about this foundation asap as I haven't seen anybody else talk about it. 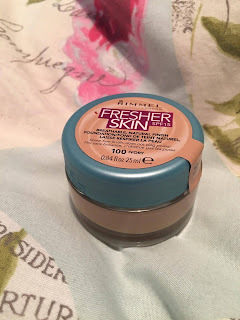 I had ran out of my Rimmel match perfection foundation so was in my local Tesco's and went to pick it up when I noticed this Rimmel Fresher skin foundation. I loved the look of the packaging and as it came in the same 100 Ivory shade I would usually get in the match perfection formula I thought I would give it a try. 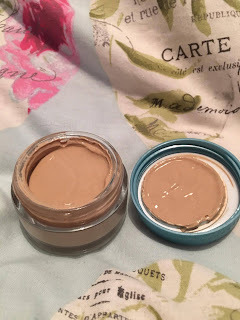 I am so glad I did because this foundation is brilliant! It does exactly what it claims to do. It makes your skin look fresh and natural. You can add a thin layer for a very subtle, natural look or it can easily be built up to full coverage. Whether you build it up or not this foundations feels so light on the skin yet leaves it looking flawless. The amazing selling point for this product is that it gives your skin the perfect mix between matte and dewy. 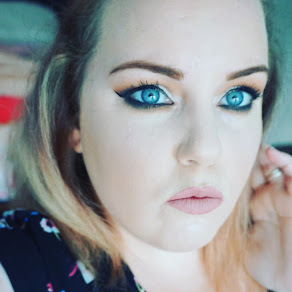 I find a lot of foundations make this claim including Charlotte Tilbury's Magic foundation but turn out to be a huge disappointment. The unique packaging of this product makes me love it even more. No more having to pump foundation on to the back of my hand I can dip my brush or beauty blender right into the pot. It is far easier and less messy. I think everyone regardless of your skin type should go out and try this foundation. 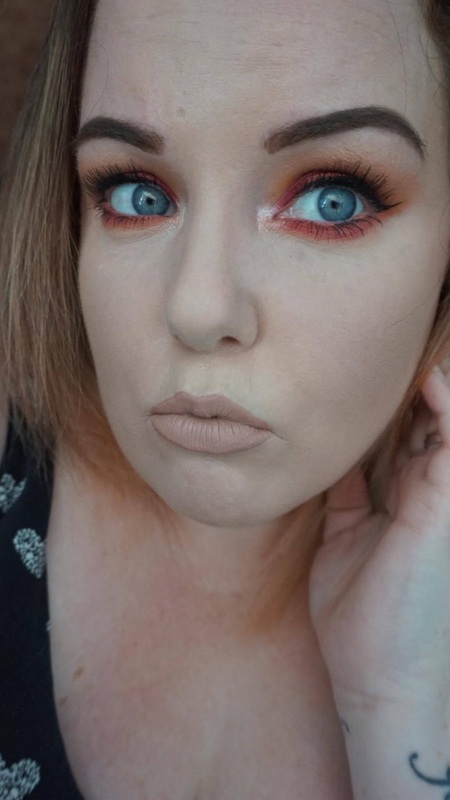 Photograph shows me wearing the foundation with no filters. The Rimmel Fresher skin foundation retails for £5.99 in Boots and is included in the 2 for £10 special offer running at the moment. Let me know if you buy the foundation and what your thoughts are! I was so excited to see these Garnier tissue masks in Asda after seeing them all over Instagram recently. I was pleasantly surprised to see them priced at only £1 each as their higher end equivalents such as Estee Lauder advanced night repair masks retail for £16 each! (I am yet to try the Estee Lauder mask but plan on treating myself to one for my upcoming birthday so I will let you know how it compares). When I opened this mask I could instantly smell the gorgeous pomegranate scent. 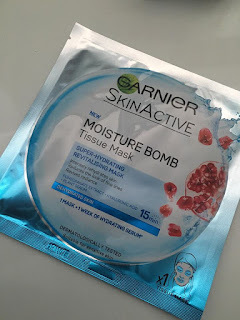 The mask itself is very easy to apply and stays on the skin easily, unlike other masks I have tried that unless you are lying flat on your back and staying completely still just keep falling off. The combination of the lovely fruity smell and the cooling, moisturising feeling to the skin makes this mask very relaxing to wear. Not only is this mask a treat to wear when you are looking for some 'me time' but it is also great for your skin. 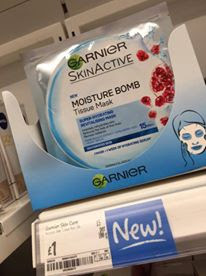 As with the ANR mask this also contains Hyaluronic acid which not only deeply hydrates the skin but combats anti-ageing by plumping out the skin and reducing the appearance of fine lines. It also brightens and evens out skin tone. What more could you possibly ask for, especially for £1!!!! I would highly recommend giving this beauty a try! I will certainly be incorporating it into my weekly skincare routine. Let me know if you try this mask and what you think.